Envision and refine regulatory systems for increased relevance and responsiveness to changes in health care. Champion regulatory solutions to address borderless health care delivery. Expand the active engagement and leadership potential of all members. Pioneer competency assessments to support the future of health care and the advancement of regulatory excellence. 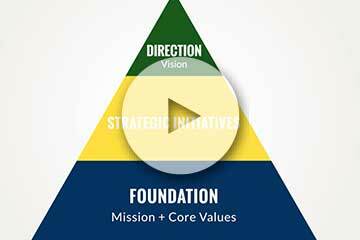 This animation summarizes the strategic initiatives for 2017-2019 and how they relate to NCSBN’s vision, mission and values.